Global Retail Brands Australia Pty Ltd ACN 006 348 205 "we" "us" operates a website, www.pethouse.com.au (our "Site") and the Site, the products available for purchase on the Site (“Products”) and related services are made available to the Customer ("you") pursuant to the following Terms of Conditions and any other policies posted on our Site from time to time (collectively, the "T&C's"). Please read the T&C's carefully before placing any orders on our Site. We recommend you should keep a copy of the T&C's for future reference. We may modify the T&C's at any time. By accessing or using this Site, you agree to these terms & conditions of use. If you do not agree to these terms you may not use this Site. We sell and ship Products only within Australia. We will not make deliveries outside of Australia or to parcel lockers within or outside of Australia. We do not encourage you to use the Safe Drop option from Australia Post whereby your parcel will be left unattended at your nominated address, however if you do elect to use this service we are not responsible for any missing parcels and no claims can be made against us for compensation. You may place an Order by filling in the Order Form on the Site and clicking the "Submit My Order" button. Once you have made your choice and your Order has been placed, you will receive an email acknowledging the details of your Order. This email is NOT an acceptance of your Order, just a confirmation that we have received it. By placing an Order, you make an offer to us to purchase the Products you have selected based on these T&C's. Information contained on the Site constitutes an invitation to treat. No information on our Site constitutes or should be deemed as an offer by us to supply any Products; however we will make every effort to supply Products to you. We will notify you that your Order is being processed by sending you an Order Confirmation and tax invoice via email; however, we do not formally accept your offer until your Order has passed our internal validation procedures for verifying the bona fides of each Order placed, for the purpose of preventing credit card or payment fraud. We and our affiliates reserve the right to refuse service, terminate accounts, remove or edit content, or cancel Orders in our sole discretion. We will confirm acceptance of your Order when we send you an email confirming shipment of the Products you have ordered. If we cannot process or accept your Order after payment is received we will contact you by email or telephone. We reserve the right not to accept your Order if we are unable to obtain authorisation for payment, the Product ordered is out of stock or does not satisfy our quality control standards and is withdrawn, or if you do not meet the eligibility criteria set out within the T&C's. We may also refuse to process and therefore accept a transaction for any reason or refuse service to anyone at any time at our discretion. We will not be liable to you or any third party by reason of our not accepting an Order, withdrawing any merchandise from the Site, removing or editing content on the Site; refusing to process a transaction; or suspending any transaction after processing has begun. We currently accept PayPal, Visa, MasterCard, AMEX and Afterpay (subject to Afterpay’s own credit limits on value of purchases). We process payments after you click the "Submit My Order" button. Orders placed on a weekend or a Public holiday will be payment processed immediately but filling of the Order will not occur until the next business day. Business days are Monday through Friday, excluding Victorian Public holidays. We will email a tax invoice to you with your Order Confirmation. Your tax invoice is your proof of purchase subject to payment being received by us. Payments will be debited and cleared from your account upon placing of your Order. By making a payment you confirm that the credit/debit card that is being used is yours or that you have been specifically authorised by the owner of the credit/debit card to use it. All credit/debit card holders are subject to validation checks and authorisation by the card issuer. If the issuer of your payment card refuses to authorise payment to us, we will not be liable for any delay or non-delivery. Any coupon codes, for example free shipping or discount offers, are valid at the time of order placement only and must be entered in correctly at the relevant point in the payment process for you to be eligible for the offer promoted by the coupon. Coupon offers will not be valid or honoured on Orders successfully placed without using the relevant or correct code. To help ensure that your shopping experience is safe, simple and secure we use Secure Socket Layer (SSL) technology. When ordering using SSL you will have a message come up about Certificate Authorisation which varies depending on what browser you are using. 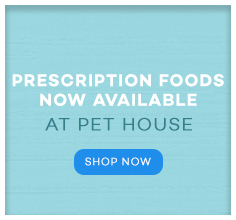 E2commerce provides our Certificate Authorisation which means that once you receive their message, they have authorised that we are in fact Pet House. Our online ordering system is the industry standard for encryption technology to protect your online Order information. SSL encrypts all information including your credit card and all personal information passed from you to Pet House. Encryption provides you with security and peace of mind when your browser and local network supports the use of encrypted data transmissions. Debit cards and credit cards have daily spending limits that may substantially delay the processing of your order, if exceeded. You may be required to provide further identification and information for additional security reference checks. We do not formally accept your offer until your Order has passed our internal validation procedures for verifying the bona fides of each Order placed. We may run security checks for the purpose of preventing credit card or payment fraud. Security checks may be conducted by telephone, by email or by a combination of both. As part of a security check we will require you to provide further verification of your credit card and your identification. If you do not agree to undergo a security check you may choose to process your payment through PayPal instead or you may have your Order cancelled and refunded. We maintain absolute discretion to cancel and refund your Order if you refuse to undergo any part of a security check. Product prices shown on the Site are in Australian dollars and are inclusive of GST at the applicable rate. We reserve the right to change prices for Products displayed on the Site at any time before you submit an Order. The promotions and sales prices that are offered on the Site are available online only. We reserve the right to extend or withdraw a promotional or sale offer at any time without notice. Certain online promotions and offers are subject to additional terms and conditions which will be specified with the offer on the Site (eg duration of the promotion or sale, method of calculation of savings etc). Please read these additional terms and conditions carefully. A confirmation email showing that we have received your Order will automatically be sent to you once you have proceeded through to the end of the check out. Once accepted your Order will be dispatched by the next Business Day (this may take 2-3 days during promotional periods) . Guaranteed next day dispatch not applicable during promotional periods. You acknowledge and agree that estimated delivery time within Australia is approximately 2 to 10 days from the date your payment is received. The estimated delivery times are in business days (Monday through Friday excluding Public holidays in Victoria). You agree that estimated times are to be used as a guide only depending on your location and the availability of stock. You acknowledge and agree that we especially cannot and do not guarantee any delivery times during promotional periods and will distribute your goods as and when possible. You acknowledge and agree that whilst we endeavour to fulfil all Orders, please note some items, sizes or colours may not be available at time of dispatch. Your credit card will be refunded for items not available at time of dispatch. If your Product has not arrived after the estimated delivery time, please contact Customer Service on 1300 136 936. It may be possible for you to cancel or change your Order if your Order has not started the packing process in our warehouse. Please contact one of our Customer Service Representatives on 1300 136 936 or email us and if cancellation or change remains possible, we will assist you. Please note we only ship Orders to Australian Postal addresses and post office boxes. Unless otherwise agreed by us, we will deliver your Products to the Australian address indicated on your Order Confirmation. We dispatch all Orders using the Australia Post eParcel service. If no-one is available to take delivery of your Products, our carrier (Australia Post eParcel) will leave a card so you can pick-up your Order from your local Post Office. We will use our reasonable efforts to deliver your Products to you within the estimated delivery time; however, we do not guarantee that we will deliver within this time frame. Title and risk of loss to all Products will pass to you on delivery. 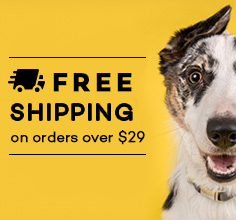 We offer free standard shipping for all Orders of $29 (inclusive of GST) or more. Orders under the value of $29 (inclusive of GST) will incur a flat rate of $4.99 for standard shipping. Our freight and handling fees do not include insurance and we may not be held responsible for any damage, destruction or loss of goods after delivery to Australia Post. If the Products arrive damaged or inoperable a claim must be made by either calling our Toll Free Number 1300 136 936 or emailing our Customer Service Team E: info@pethouse.com.au within 7 days after the parcel has been delivered and providing a full detailed description of the problem with supporting photographic evidence as well as your order number. Depending on the problem our Customer Service team will determine how best to resolve your problem with minimum inconvenience to you. Please note Products that are damaged as a result of normal wear and tear are not considered to be faulty. Where possible, we will offer to repair Products that we accept are faulty. If we consider the Product is not repairable or the same product is not available, you are entitled to a full refund in the original tender. Our normal warranty for the Products supplied to you, applies if they arrive damaged or inoperable. A replacement for the Product that you ordered will be shipped to you at our expense after we have received your returned Product (does not apply to change of mind). Consumer Guarantees under the Australian Consumer Law but no additional guarantees apply to all replacement products. A Return Authorisation (RA) number is required for replacement Products and refunds. Where Customer Service has provisionally determined that a Product is defective, Customer Service will issue you with an RA. Products cannot be returned without an RA. The Product should be returned to us within 30 calendar days of the issuance of the RA to qualify for a replacement or refund. All Products must be returned new and unused, including any accessories, manuals, documentation and registration that were shipped with the Product. If the accessories are not included, only a partial refund will be applied. This change of mind guarantee does not apply to Products that we repair or replace under these T&C’s. Your entitlements to a refund, exchange, repair or credit are governed by the Australian Consumer Law and this change of mind guarantee is in addition to those rights. To return any item for any reason you must arrange the return by return postage through Australia Post. Customer Service will email you a PDF voucher containing an RA which you must affix to the Product. You must then take the Product to any Australia Post Office for return. While we employ Secure Sockets Layer (SSL) technology software for our transactions with our customers, we will not be responsible for any damages, consequential losses (whether direct or indirect) suffered by a customer whose credit card is fraudulently used or is used in an unauthorised manner. To help ensure our Site remains a safe and secure place for customers to transact we may ask you to confirm your identity by confirming information that you’ve provided us is correct. Our process is to contact you either by phone or email with a request to confirm certain information. This may occur when you open your account or when you make an online purchase. In addition, from time to time we may need to ask you for some extra information so that we can adequately identify who you are. This information will only ever be collected for the purposes of confirming your identity. Our process is entirely voluntary, however if you do choose not to confirm or provide the information we ask for then we may unfortunately not be able to continue to process your Order. If we need to confirm your identity, we’ll attempt to contact you soon after you have placed your Order. If we can’t confirm your identity within 7 days we will cancel your Order and process a refund within 24 hours of our last attempt to contact you. You may not assign any rights and obligations under these T&C’s whether in whole or in part without our prior written consent. Any unauthorised assignment shall be deemed null and void. We reserve the right to change the T&C’s at any time. The T&C’s applicable to you are those on our Site at the time you order a Product. None of our employees or agents have the authority to vary any of the T&C’s governing any sale. To the extent permitted by law, we are not liable for any delay in performing any of our obligations under these T&C’s if such delay is caused by circumstances beyond our reasonable control, and we shall be entitled to a reasonable extension of time for the performance of such obligations. Your use of the Site and its contents including any graphics, photographs, music, video, or text on this Site, grants no rights to you in relation to any copyright, designs, trademarks, and any other intellectual property and material rights relating to it including our software and all HTML and other code contained in this Site. All such IP, including third party trademarks, designs and related intellectual property rights mentioned or displayed on this Site are protected by national intellectual property and other laws and international treaty provisions. You are permitted to use the IP only as expressly authorised by us and/or our third party licensors. Any reproduction or redistribution of the IP is prohibited and may result in civil and criminal penalties. Without limiting the foregoing, copying and use of the above listed materials to any other server, location or support for publication, reproduction or distribution is expressly prohibited. However, you are permitted to make one copy for the purposes of viewing the IP for your own personal use. This Site is for your personal, non-commercial use only. You may not use this Site for any commercial purpose, including any advertising or advertising revenue generation activity on your own Site. You agree that you will be personally responsible for your use of this Site and for all of your communication and activity on and pursuant to this Site. If we determine that you are or have been engaged in prohibited activities, were not respectful of other users, or otherwise violated the T&C's, we may deny you access to this Site on a temporary or permanent basis. We may include links on this Site to other websites or resources operated by parties other than us. We have not reviewed all of the websites or resources linked to our Site and are not responsible and have no liability whatsoever (directly or indirectly) for the content or accuracy of any of these website pages or resources nor for the availability of such external websites or resources, the privacy practices or the content of such websites, including any advertising, products or other materials or services on or available from such websites or resources, nor for any damage, loss or offence caused or alleged to be caused by, or in connection with, the use of or reliance on any such content, goods or services available on such external websites or resources. You agree to compensate us fully on demand for any liabilities, claims, expenses, damages and losses, including legal fees, arising from any breach of the T&C's by you, or arising from the use by any other persons accessing this Site using your internet account caused by your action or inaction. You also agree that we will not be liable for any loss or damages whatsoever which result from any use or access of, or any inability to use or access, the Site or any part of it, or from your decision to purchase Products from us, except to the extent of our negligence or breach of these T&C's. You acknowledge that if you breach the T&C's and we take no action against you, we do not waive our right to take action should you commit the same breach again or any other breach of the T&C's. Our actions in not pursuing our rights in respect of any breach will not be construed as varying the T&C's in any way. You acknowledge and agree that the T&C's together with all our policies and procedures will be governed by and construed in accordance with the law of Victoria, Australia, and the relevant courts of Australia will have exclusive jurisdiction. 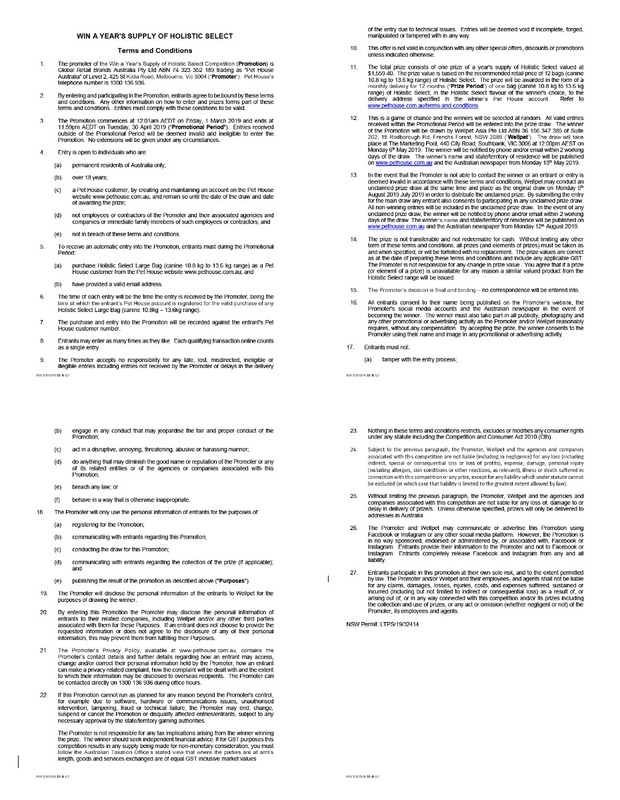 If any portion of these T&C's is or becomes contrary to any Australian law, that portion will be read down to the extent necessary for the portion to retain valid operation or if it cannot be read down, will be severed from the T&C's and the rest of the T&C's will not be affected by the severance. If any portion of these T&C's is inconsistent with any other policies or terms constituting these T&C's, then these T&C's will prevail to the extent of the inconsistency.